I kinda like the newer blue–looks more vintage, I think. Sounds like your hand is healing nicely. I had to turn car switch on w left hand, too. Kind of tricky doing it, though. Sure makes a person appreciate my hands, that’s for sure. I love the new blue–much softer and more elegant. Hope you’re better soon! 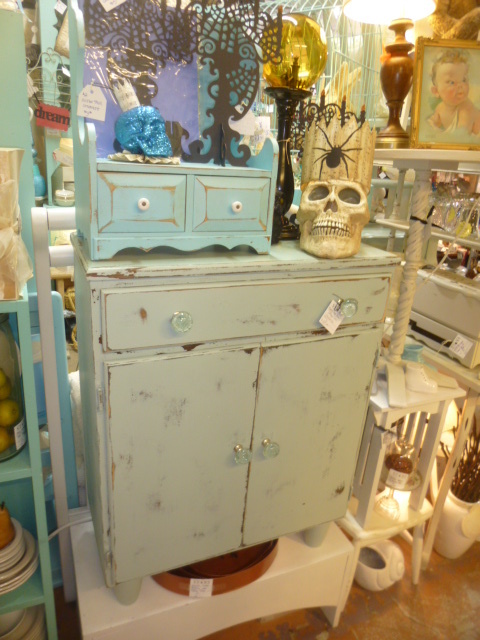 I love the new blue tone and I love the little cabinet very much. Hope your hand is repairing nicely and you are back to crafting asap. You must take care of your hand and make sure to do the physio. Take care and allow yourself time to heal! !